We’ve been working with Heather Rowan of Office Resources for years when it comes to the piece of interior design dealing with the furniture. We recently outfitted COVE – Cooperative Venture Workspace in Portsmouth with an array of Knoll inspired furniture options that really make the space “pop” and bring it to life. And while it’s stylish and eye-catching, it also serves its primary function: Comfort. Not sure what “Knoll” furniture is? Click here to learn more. Check out our Q&A below with Heather and Office Resources, one of our premier furniture partners! And definitely stop by COVE to take a tour of the space. It looks marvelous! SOMMA: Can you give us a little background on Office Resources and how you became the premier dealer of Knoll furniture? This entry was posted in 30 Maplewood Avenue, Commercial Success, Design + Inspiration on May 19, 2016 by admin. Like many successful ventures, what begins as a singular project can bloom into a long-lasting, fruitful enterprise when the right people get together. So is the story behind the partnership of SOMMA and Stoneridge Development. Now working on two, large-scale projects at the national level, the team is setting the course for some serious growth as they continue to expand onto campuses across the country. The story of this venture goes back to 2008. Matt Crape, founder of Stoneridge Development saw a unique opportunity on the growing campus of the University of New Hampshire. With student enrollment steadily increasing, the need for quality, affordable housing was rising. Crape, an alumnus himself, spotted a potential property at Jenkins Court. The property, a 37,500 square foot, four-story building had a lot going for it – great location, and ample size to accommodate housing, retail, and office space. This entry was posted in Commercial Success, Success Stories on March 24, 2016 by admin. We are proud to say that 2015 was another productive and successful year here at SOMMA Studios. With the New Year now well underway, we thought we’d take a few moments to share with you some of the exciting projects we look forward to working on (and/or completing) in 2016. It’s no secret that we have a soft spot for urban renewal and mixed-use development. 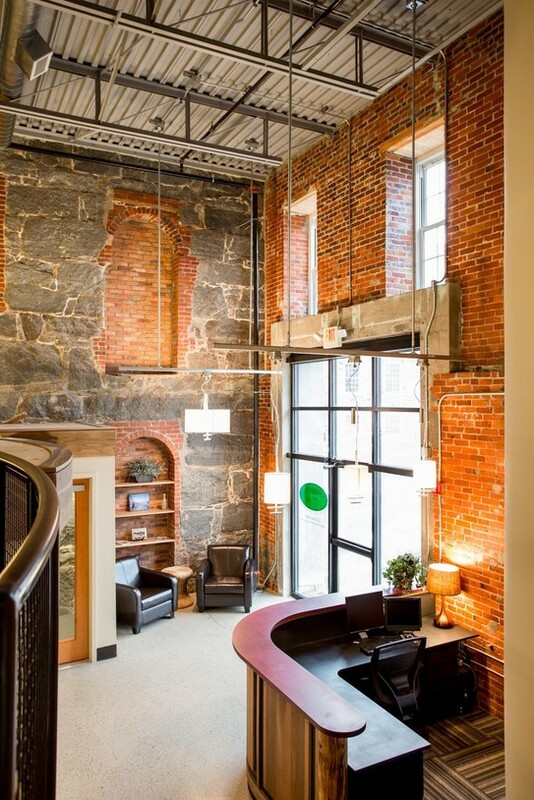 Bringing new life to old, historic structures is part of our company’s DNA. On the horizon, is the completion of our project at 30 Maplewood Ave, which involved the transformation of this old, outdated administrative building into an exciting and vibrant mixed-use space that will be home to new restaurants, condominiums, and COVE, Portsmouth’s newest and most exciting hub for cooperative working. This has been a tremendously rewarding project for us in a number of ways. This entry was posted in 30 Maplewood Avenue, Commercial News, News + Press, Residential News on January 19, 2016 by admin. For the past few months, SOMMA Studios has been hard at work reshaping 30 Maplewood Ave. in the northern tip of Portsmouth’s downtown. Formerly home to the administrative offices for the New Hampshire Department of Health and Human Services, this beautiful old brick-walled building is being transformed on the inside from drab cubicle space into an exciting and vibrant mixed-use space that will be home to new restaurants and COVE, the new center for cooperative working. On its own, this is an exciting project. But what makes this project even more exciting is how it is playing into the bigger picture of this area’s overall reshaping. 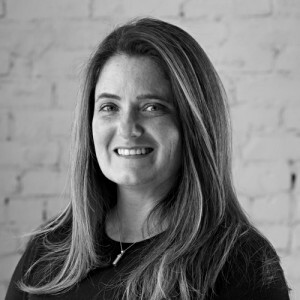 SOMMA Studios founder Jen Ramsey gives an in-depth look at what all this means for the future of Portsmouth’s north end. This entry was posted in News + Press on October 1, 2015 by admin. Jen Ramsey of SOMMA and Scott Purswell of Dovetailed Kitchens have been working together since before Portsmouth, N.H., was a press darling — well before the city was discovered by the NY Times. But the age difference seems to give the two a good work mix. This entry was posted in Design + Inspiration on July 30, 2015 by admin. PORTSMOUTH – Jennifer Ramsey has a unique perspective on what’s going on at 30 Maplewood Ave.
She is the designer, developer and, ultimately, a tenant of the mixed-use commercial and residential project at what used to be the non-descript offices of the state Department of Health and Human Services. “It’s my baby,” said Ramsey, an architect and founder of SOMMA Studios who partnered with local developer Steve Kelm to acquire and rehab the two-story structure into three stories that include commercial space at street level and townhouse condominiums on the second and third floors. 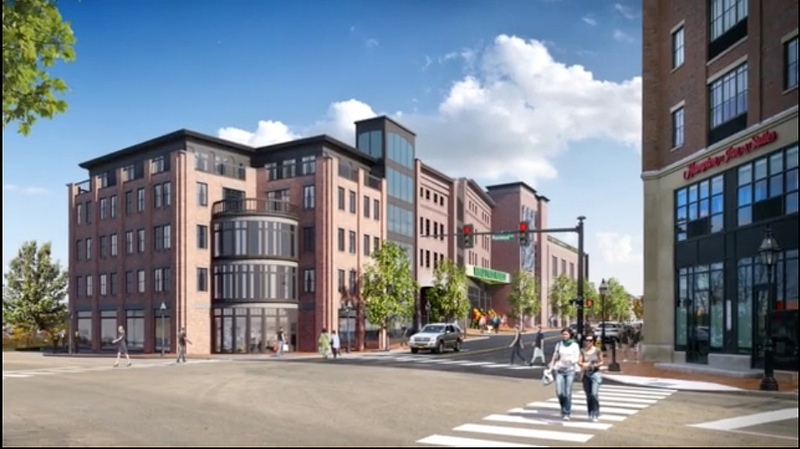 The development totals about 35,000 square feet. About 14,000 square feet on the first floor is for commercial development. That includes 7,500 square feet devoted to COVE, what Ramsey describes as an updated version of the cooperative workspace trend. This entry was posted in 30 Maplewood Avenue, News + Press on July 19, 2015 by admin. It’s 36-degrees. Tomorrow we’re up to 52. It’s looking like spring weather might just be on the way to New Hampshire and southern Maine after all. 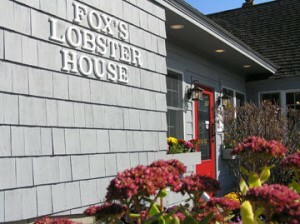 But — until it is –we can put ourselves in a springtime frame of mind, with the following offerings on the Seacoast. Shake the cold out of your head and hit the local farmers market. Plan to make a complete meal from only ingredients you buy at that market, cause you love a challenge. Even though it is technically called a Winter Farmers Market, there’s no way you won’t be thinking of birds chirping and shoots sprouting out of the ground when you head to the remaining two Winter Farmers Markets on Saturday, March 28 and April 11 in Exeter (Exeter High School, 1 Blue Hawk Drive, Exeter) 10 a.m. This entry was posted in Just For Fun, Recent Stories on March 24, 2015 by admin. 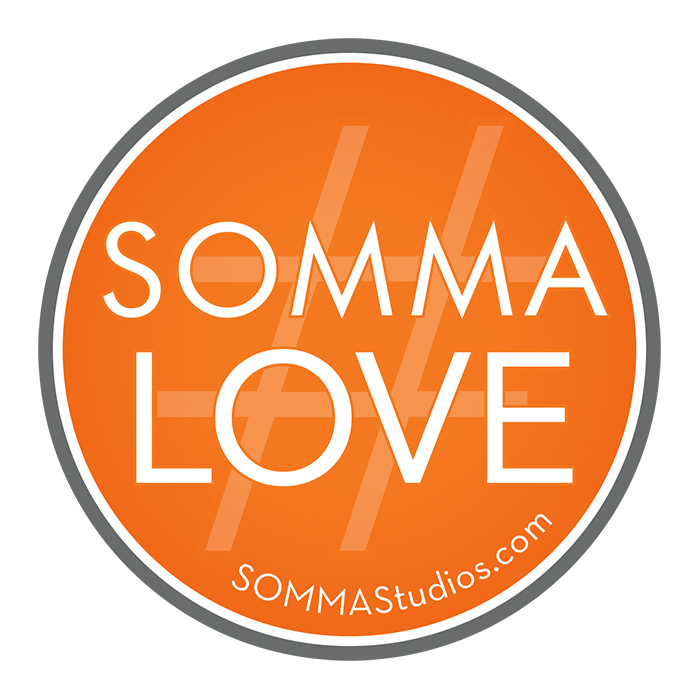 When SOMMA revamped its website in February, we wanted to share the love. Expanding upon the #PortsmouthLOVE hashtag that had been ebulliently encircling the city’s Twitter stream for about a year (Thanks, LaughterCrystal! ), Jennifer Ramsey said, “Let’s do #SOMMAlove.” And it was done. What, however, does SOMMA love? That came straight from the head of the company, Jen. Come Feb. 8, SOMMA loved “Cluster of Flowers,” sculptor Jim Love’s steel and cast-iron piece from 1958. The fist full of nuts and bolt flowers, cast a powerful mark. This entry was posted in News + Press on February 26, 2015 by admin. The Newmarket Mills project was an incredibly large undertaking. The challenge of renovating these old mills after decades of deterioration, was taken on by Chinburg Properties, who now take up residence in a portion of the finished project. These once bustling granite complexes on the Lamprey River required a significant overhaul to make them viable for current use. Chinburg Properties committed to the project with a tremendous investment in money, time, and planning, but needed an added element of design talent to really bring the spaces to life. SOMMA founder Jen Ramsey had been involved with several of the Chinburg mill renovations in the past, and is a passionate proponent of adaptive reuse developments, so it made perfect sense to bring her back on-board for this project. This entry was posted in Chinburg Headquarters, Commercial Success on February 4, 2015 by admin. Located in idyllic York Beach, Maine, Fox’s Lobster House had a lot going for it: a perfect oceanfront location, classic New England charm, and history galore. But it had its downsides as well. The interior was old and outdated. The bathrooms felt dingy. The windows leaked, the fireplace looked as if it could fall apart at any moment, and the layout no longer fit the needs of the growing business. The entranceway was cramped and lacked a place for patrons to sit and relax while awaiting a table. For this restaurant to reach its full potential, a significant overhaul was necessary. This entry was posted in Commercial Success on February 4, 2015 by admin.